Divorced and bankrupt, man faces obstacle in renting or buying HDB flat. By Deborah Choo. “The government can build two- or three- room flats now, but that is only the future plan. You have to solve the problem now!” said Mr Henry Tan (not his real name), speaking on the government’s plan to build more two- and three-room HDB flats. This was announced by National Development Minister Mah Bow Tan in Parliament on November 20th, 2008. The HDB’s move is mainly aimed at helping lower-income families cope with the economic crisis triggered by the collapse of Lehman Brothers and American-based AIA in 2008. HDB’s scheme has, however, overlooked a group of people like Mr. Tan; one which has failed to meet the criteria for the application of renting or buying a three-room flat from the Housing Board, but is struggling to make ends meet – and with no one to turn to. “Every time I consult, they will take out a form and ask if I’ve met the criteria…like a checklist. 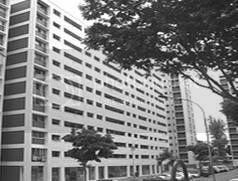 [HDB] got to think of other categories of problems (that people are facing as well),” Mr Tan said. Mr Tan, 42, was divorced in 2004, and was subsequently declared bankrupt late last year when Maybank sued him. He had debts of S$44,000 with six different banks, due to a “study loan and payment for household appliances bought over ten years”. He slogs to make ends meet by undertaking two jobs – working as an associate sales manager dealing with imported office furniture by day, and driving a Maxi cab by night. Mr Tan currently draws a salary of approximately S$1,500 a month. However, this amount is subjected to fluctuation as his scheme of salary has been recently changed to a fully commission-based one since February this year. He had previously lived in a five-room HDB flat with his family. However, after his divorce in 2004, he transferred his flat to his ex-wife. The flat was previously registered under his name. The transfer took place in December 2007, and was done in hopes that his two children – girl, 14 and boy, 12 – would not experience any further disruptions in their lives. Mr Tan’s five-room HDB flat was sold for S$380,000. He received S$70,000 which was channeled into his Central Provident Fund (CPF) account. He then moved in with his mother, 71, and his aunt, 80, in a three-room flat in Bishan. However, his mother rents out the master bedroom to support herself, as Henry’s financial condition means he is unable to support them. He still gives a monthly S$1,051 alimony fee to his wife, which is about 70 percent of his salary. Mr Tan wants to rent a HDB flat near his mother, but his application has been rejected each time he approaches the HDB. Since mid last year, he has approached HDB on three occasions, but is repeatedly told that he does not “qualify” for the criteria to rent a house from the HDB. According to HDB’s regulations, one’s income must be below S$2,000, and one must fulfill HDB’s definition of a “proper family nucleus”. In addition, the occupiers must not have sold an HDB flat, which Mr Tan did – technically – to his ex-wife, as mentioned earlier. His request was rejected despite explaining his situation. The HDB told him that since he is “an ex-HDB lessee who sold his home ownership flat in the open market”, he “is not able to apply for an HDB rental flat”. The HDB officer then advised him to rent a room from the open market. Mr Tan says that the economy is “so bad that I hardly see anyone on the streets at night”, referring to his work as a taxi driver. Often he makes a loss of about S$60 a day, instead of the usual profit of S$20 to S$50. In addition, as the waiting list for rental flats is long, the minimum waiting time is about 19 months. Hence, he dropped the idea of renting a HDB flat. He approached HDB again in February 2009, this time to buy a three-room flat in Yishun which is the next nearest housing estate to his mother’s in Bishan. A three-room flat in Yishun costs about S$217,000. As Mr Tan is a bankrupt, he has to submit an appeal to the HDB to buy a flat with a concessionary loan. He is waiting for the HDB’s reply. Describing his past, he said that 2007 was a dark period in his life. “I was so lost, I almost wanted to commit suicide. Every night I just stared at my window on the 11th floor and wondered what would it be like to jump down.” But he held back as he thought of his responsibility as the only son to his mother. Despite having gone through a tumultuous period of his life punctuated with times of marriage counseling, divorce, and then bankruptcy, he chooses to remain optimistic about his future, promising to “work for the best”. Henry is still struggling for survival, but clings on to the hope that the government can help him. “Who else can I turn to besides the government?” he asked.